Check out the video, posted on his blog….bizarre doesn’t begin to describe it. 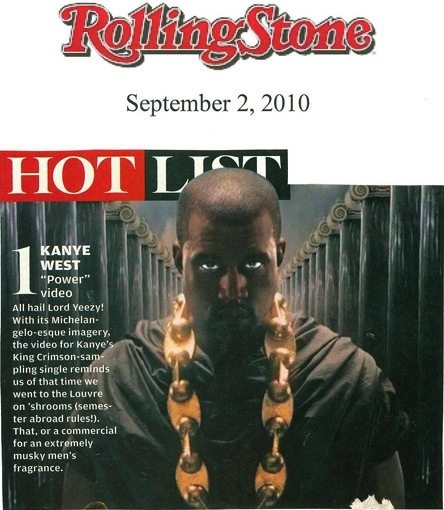 This entry was posted in New Music and tagged kanye west, power. Bookmark the permalink. 1 Response to Kanye’s Being “Creative” Again.